Huizhou Tongli Machinery Technology Co., Ltd. Thanks to the efforts of the organizers' staff. This event was very successful! I hope that the next event will be more successful! Jiangsu Yancheng Xingtai Electric Co., Ltd.
Our company attaches great importance to this event. During the exhibition, we also organized the company's important annual activities. We have invited many new and old customers at home and abroad. Thank you for organizing and organizing the organizers. Let us have a stage for perfect display. One of cooperation under expectations! Dashiqiao Meier Magnesium Products Co., Ltd.
As the fifth exhibition. We feel that the flow of people is still very high. We saw the tour group arranged by the organizers to visit. We also arranged media interviews for us. It increased the popularity and exposure of our booth. And show. Let customers have a deeper understanding of our products. Look forward to the next time! We are very satisfied with this exhibition. The exhibition did not expect such a large flow of people. It is very helpful to our company's publicity and business. Many people who do not understand. 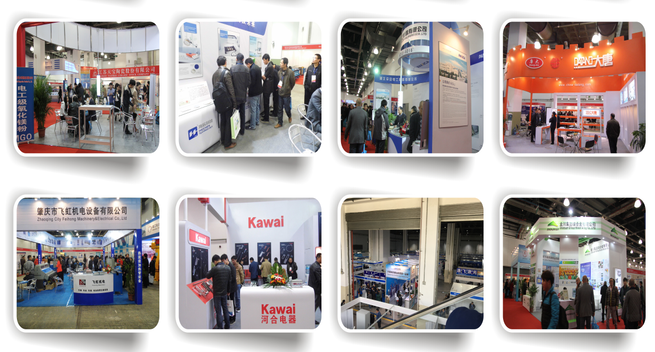 Through this exhibition, all of the business of Anbang Electric. The operation status of the company. Have a deep understanding. And the purchase intention is clear. I hope to increase the site area next year.! Wuhan Yifei Laser Equipment Co., Ltd.
After many years of exhibiting at ChinaDRY, I feel that ChinaDRY is a platform for new product launches. Wuhan Yifei has launched some new products at the ChinaDRY Shanghai exhibition this year. The results are very good. Some equipments have been ordered directly on site. Looking forward to next year's exhibition can also have satisfactory results.